The Danapur Branch of the All India Anglo Indian Association came into existence in 1971. Some members of the erstwhile Patna Branch felt that another branch would be welcomed by the numerous members residing at Danapur and Khagaul area. Commuting to & fro to Patna at the time was difficult and a waste of time. It was with the blessings of the then M.L.A. Mr.Hector Angus Brown and the tireless efforts of some members like - Mr Arthur Manly, Mrs Hoskings, Mrs Marjorie Hill, Mr.Johnny Johnson, Mr P Quadros, etc that the branch came into being and flourished. BRIEF HISTORY OF THE DANAPUR BRANCH. 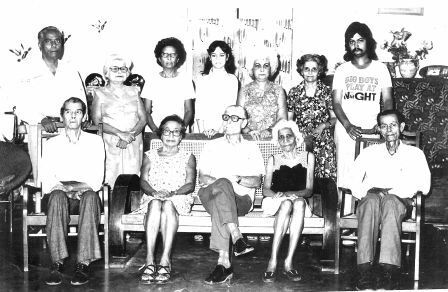 The dawn of 1971 brought a new addition to the branches of the All India Anglo- ­Indian Association, a new branch christened the Danapur Branch; it was carved out from the Patna Branch. The establishment of the Danapur Branch was necessitated to cater to social and cultural needs of a sizeable chunk of the Anglo­ Indians who had taken roots in the railway colony at Khagaul and the cantonment area of Danapur. The activities of this branch of the association are in keeping with the aims and objectives of the All India Anglo-Indian Association that is to protect the interests and promote the welfare of this minority community in India and to associate with them by community of sympathies and interests. The objectives of the association are charitable, educational, and cultural. The functions organized by this Danapur Branch are to foster good will, cooperation, understanding, and harmony in our communities as a whole. 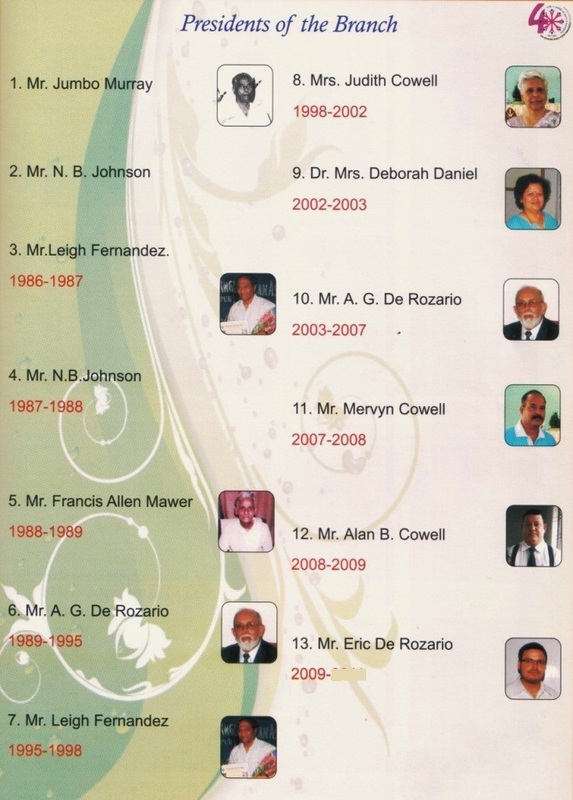 The initial years brought forth leaders of the stature of Mr.Arthur Manly (The founder of the Branch), Mrs. Hoskings, Mr.Johnson, Mr. J. Starling, Mr. M.Paul, Mr. Murray, Mrs. M. Hill, Mr. P. Quadros and so many others. Tiding over the initial hiccups, they contributed significantly from the baby steps at the start to the effective running of the branch. The 80's were a period of growth with the whole hearted involvement and commitment shown by Mr. Alfred George de Rozario who single handedly shepherded the branch to get involved in "community projects". Since then, there has been no looking back for the Danapur Branch. It has grown from strength to strength. It has been the endeavor of this branch to undertake all activities which touch every aspect of the community. The 90's, further fortified our commitment to the progress and development of the community. A clarion call was made for the involvement of the "Youth". A judicious mix of the "senior" and the "youth" made the branch scale new heights under the Presidents Mr. Alfred George de Rozario, Mrs.Judith Cowell, Dr.(Mrs.) Deborah Daniell and Mr. Leighlyn Fernandez, Mr. Mervyn Cowell, Mr. Alan Cowell and Mr. Eric De Rozario (present President) with their Secretary, Mr. Tyron Lazarus. Every year the Danapur Branch's main focus has been to elevate young minds to a greater understanding of the passions, the contradictions, the charm and the resilience that constitute our country - India. The activities in English, like the India Quiz, Elocutions, Debates, Drawing and Painting competitions and the One Act Plays, enrich them culturally, academically and aesthetically. These activities go a long way in projecting the aims and objectives of our Association and our community. Anglo-Indians, in general, possess a unique social psychology which identifies them with the Indian Mainstream while at the same time retaining its own distinctive identity. This Branch took on events and activities which no branch of the All India Anglo­ Indian Association anywhere in the country ever undertook. These events included social/cultural and charitable activities. For these tireless efforts and endeavors, the Danapur Branch has been receiving awards at the National AGM's every year since 2004. Mrs. Rita Murray, Mr. Glenn Manly. Every association must have a focused objective or mission. The main concerns of our association are three fold. A] Our Culture And Language. B] The Education Of Our Children. C] The Welfare Of Our Senior Citizens. It is through the association that we can preserve the culture of our community. By not being involved in the association we are weakening our own cultural ties and togetherness. IDENTITY : We need our association in order to give ourselves an IDENTITY and a FEELING OF ONENESS. Even if any of us feel we do not require an identity then that is our personal decision. to survive and to fulfill its objectives is Loyalty. If we lack loyalty, our Association will not be able to project a strong and united community. Another important factor is discipline. We cannot have a successful Organisation without discipline. Discipline cannot be enforced by rule of the iron fist. It is something that comes from within one’s self and acceptance of rules to guide the Organisation. An Association has to enforce discipline and members must have the inbuilt discipline of their own, after all, it is our Association and we make the Association. We are responsible for its success or failure. A} Keeping the community together and projecting its oneness. B} Completing various activities outlined for the year. The achievement of the goals of this branch has been so outstanding, of-course with the cooperation of the Office Bearers and you members of the Association, that it projected itself as a strong and vibrant one. This was taken note of by The All-India Anglo-Indian Association at the AGM held in October 2004 at Delhi. It did come as a great surprise that our branch was given due recognition among all other branches present there and we were awarded the Derozio Award for projecting the community. To add to this achievement, the Review Star Award was presented to Mr. Rudolph Mawer of our branch for his regular contribution of articles to the Review. This recognition brought profound joy to us at the big gathering and indeed it has positively encouraged us to continue to work relentlessly in future to keep up that image. It was indeed a moment of pride in the History of our Branch Association. The branch that hosts the best quiz, conducts quality debates and successful painting competitions. The only branch that has it’s own website – www.aiadanapur.org and circulates it’s own newsletter “OUR VOICE”. 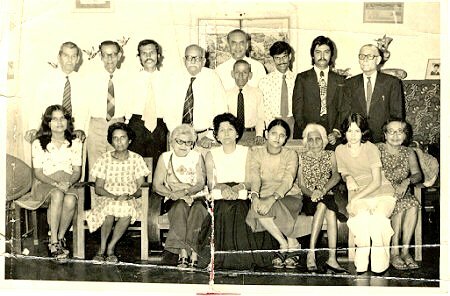 The branch that gets the Anglo-Indians and the Anglo-Indian Association the maximum newspaper space by projecting the work done by Anglo-Indians and the Association. The Danapur Branch is the winner of the inaugural Derozio Award for projecting the community. In other words it means “The impossible is Possible.” In fact this prayer has given me confidence in all seemingly impossible situations.